Discover the coolest way to take notes. 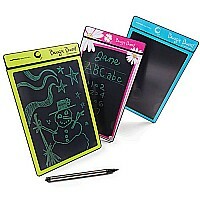 The pressure sensitive LCD writing surface lets you write, sketch or draw with the stylus (included) or even your fingers! Everything erases with the touch of a button. 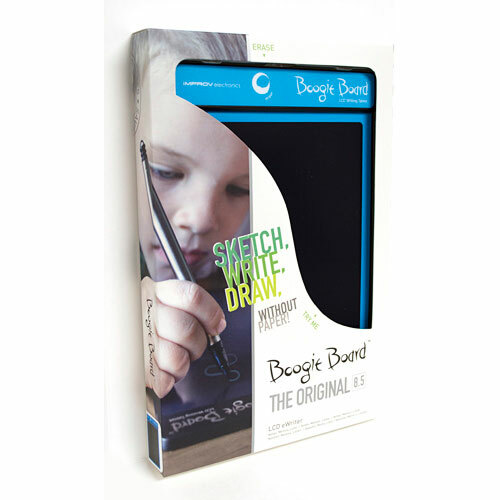 Durable, shatterproof nontoxic plastic is perfectly sized to fit in a backpack. Available in assorted colors, each sold separately. For ages 3-6 yrs. Brand: Improv Electronics - Kent displays.